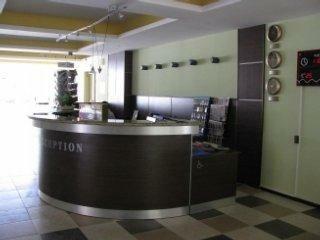 This air conditioned hotel provides spacious and comfortable accommodation to ensure your stay is an enjoyable one. A good choice for those on a budget. 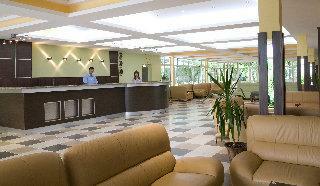 The hotel features a reception and lobby area with internet corner, lobby bar with Wifi access and a billiard table. There is an outdoor swimming pool and childrens pool, sun-terrace with loungers and umbrellas, and a buffet restaurant at neighbouring Kompas Hotel. 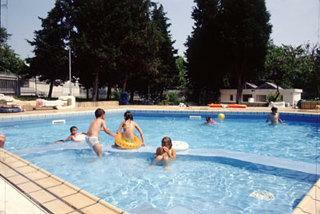 The hotel comprises of a total of 150 rooms, 3 apartments and 16 maisonettes. 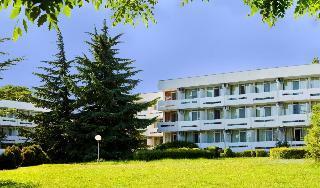 All rooms feature private bathroom, cable/satellite TV and a balcony. Fridges are available to hire locally. The All Inclusive package includes all meals; breakfast, lunch and dinner, served buffet style in the restaurant at Kompas Hotel close by. A selection of hot and cold snacks are served between 11am and 5pm. 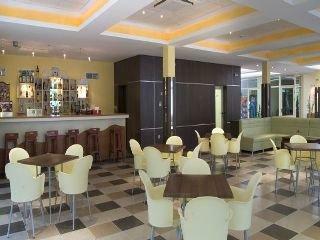 The beach is just 600m from the hotel, and within the vicinity is a shopping centre with souvenir shops and snack bars. 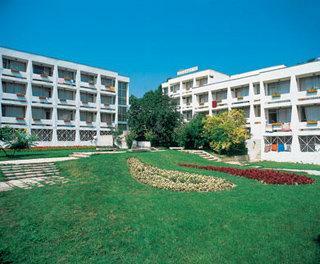 The resort is approx 40 km from Varna Airport and around 145 km from Bourgas Airport.